The people we employ. With their expertise and experience, they make VisMederi a young, dynamic and innovative company. We are talking about a human capital of competent and motivated women and men, which over the years has grown and strengthened thanks to new highly technically and scientifically specialized professionals. The two main business areas – vaccines and food industry, safety and environment – are supported by an administrative area for all research activities. The high profile of the working group is one of the strengths of VisMederi, which chose to bet on young people and to enhance their talent to grow and successfully enter new markets. Giulia graduated at the University for Foreigners of Siena in Linguistic and Cultural Mediation, and she specialized in “Translation for Business and Tourism”. During her studies, she has always worked in the fields of administration, tourism and translation. In 2010, she was awarded with a fellowship on the topic “Implementation of Capacity Building Processes at Navrongo Health Research Centre in Ghana” performed at the University of Siena, Department of Physiopathology, Experimental Medicine, Public Health, under the supervision of Prof. Emanuele Montomoli, mainly performing translations, management of the supplying processes and linguistic support. She is part of VisMederi’s staff since 2011, first as Administrative Assistant in the position of Specialist and as Head of Administrative and Human Resources Office since April 2016. Her tasks concern all administrative processes according to ISO9001:2008 standard and the management of human resources practices. Her activities mostly apply to approval and writing of administrative SOPs, coordination and supervision of Administrative Assistants and their activities, management of work relationships and documentation for consultants and service providers, supervision in drafting and management of contracts and documentation of the Company (customers/sponsors/consultants/conventions). She is also responsible for invoice emission and management. She is responsible for Human Resources processes, stage/internship/job voucher, internal documentation, relationship with Labor Consultant and management of time and attendance software. 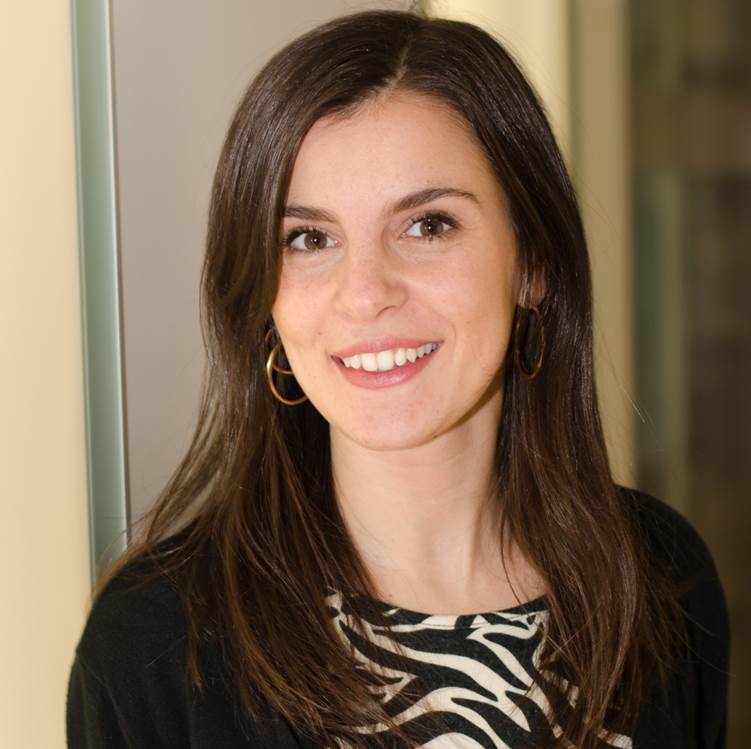 aura studied Law at the University of Siena, with a specialization in Corporate Law. She graduated in 2009 with a thesis entitled “Economic Analysis of Corporate Liability”. After graduation, she obtained a Master Degree in “Control and Innovation of Small and Medium Businesses”, and she carried out a six-month stage at the Corporate Division of Banca Monte dei Paschi di Siena, where she developed her analytical and business support skills. Then she worked for several companies in the debt collection and firm consulting areas. 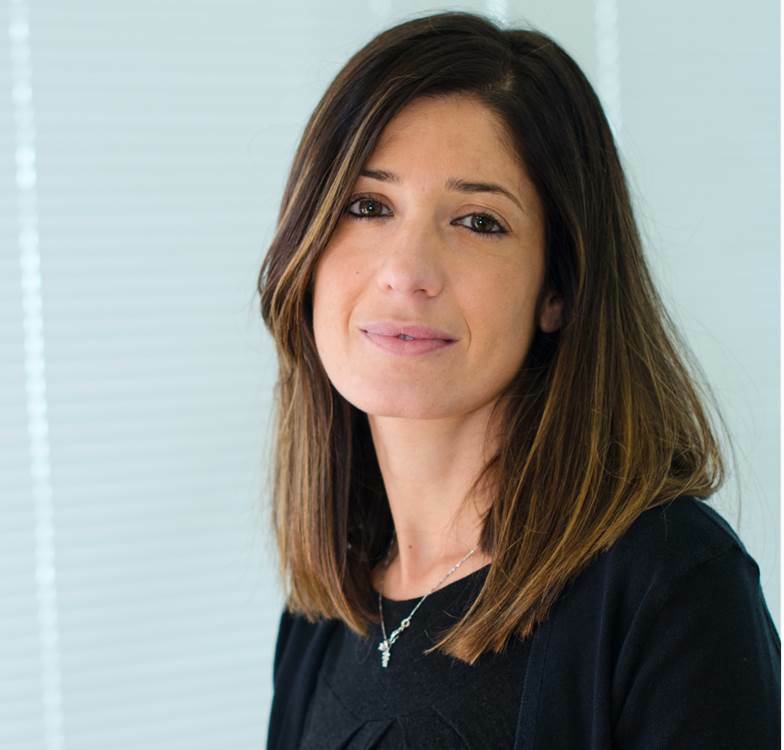 Before working in VisMederi, she worked for three years in a law firm in Siena, where she learned further law consulting and contract revision skills. 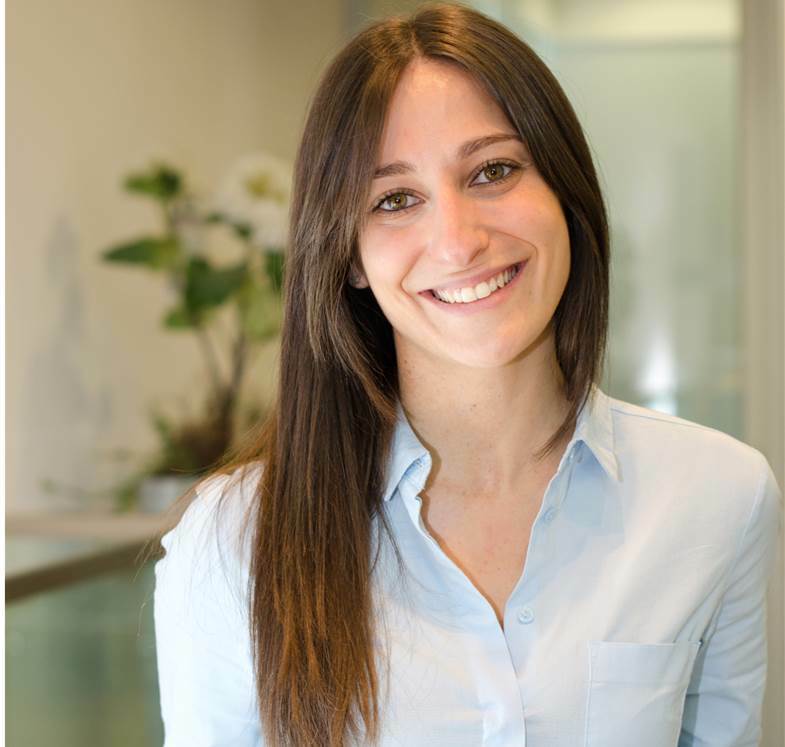 She has been working in VisMederi since December 2015 as Administrative Assistant and Responsible for Legal Affairs dealing with contractual relationship with VisMederi’s customers. She graduated from the Faculty of Literature and Philosophy at the University of Siena in 2001. After graduating, she was hired as a Commercial Officer for Tuscany in an international company specialized in document management and workflow solutions for companies and the Public Administration. After several years, she went back to work with a company in the Biotechnology sector in Siena as an Administrative Assistant, essentially following the entire process of reporting on EU Projects. In 2011, she was hired by a qualified company to provide Payments and Business Services, managing the Administrative Office. 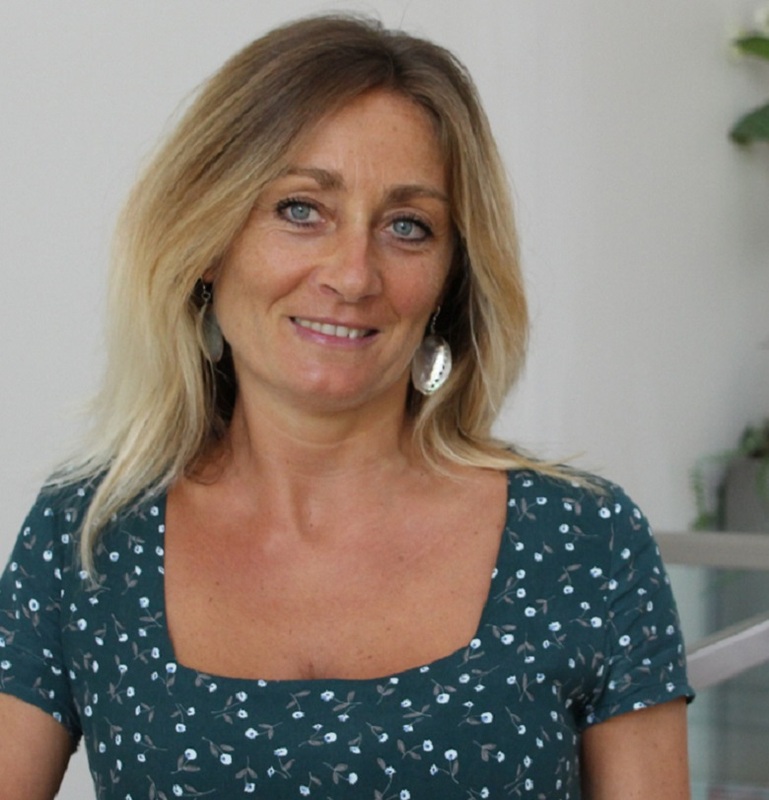 In July 2018, she has joined the administrative staff of VisMederi, where she currently deals with the management of Suppliers and the Purchasing Department, following the entire process, according to the ISO9001:08 standards, from the estimate request to the issue of the Purchase Order, until receipt and storage of the shipping documents and the corresponding invoice. He studied Business Administration at the Faculty of Economics “Richard M. Goodwin” in Siena, earning his Bachelor’s Degree with a thesis on International Accounting, research theme on methodological aspects and problems of the adoption of IAS / IFRS Accounting Standards for SMEs. While studying Management and Governance at the Department of Business and Legal Studies at the University of Siena, he gained experience on the field in a Business Consultant Studio. He obtained his Master’s Degree with a graduation thesis on the business model that characterizes the start-up phase of companies in the Life Sciences cluster. He has been working in VisMederi since March 2014, dealing with Corporate Finance and Management Control. From January 2015 to June 2016, he became a member of the company’s Board of Directors. Since April 2016, he is the Head of the Corporate Finance Area. Sara studied at the University of Siena. In 2007, she graduated in Literature and Philosophy, Curriculum of Sciences of the Historical and Artistic Heritage with final grades of 110/110 with honors. She carried out a stage for research purposes at the Commission for the Historic, Artistic and Ethno-Anthropological Heritage of Siena and Grosseto. After this experience, she moved to Milan where she worked for two years at a travel agency and, afterwards, she moved to Florence where she continued working in the field of tourism. In 2011, she returned to Siena, where she worked as an Administrative Assistant first at a Business Consultant Office and later at a Law Office. In February 2013, she started working as an Administrative Assistant at VisMederi Srl in the position of Junior Specialist. Currently Sara is Responsible for VisMederi Communication, taking care of promoting and spreading the Company’s identity, in line with the image and the management strategy as well as with budget items and costs. She coordinates the selection of information channels, organizes sponsorship, maintains and strengthens relations with institutions, organizations and media. She is also involved in writing press releases, texts for corporate advertising and corporate representation documentation. 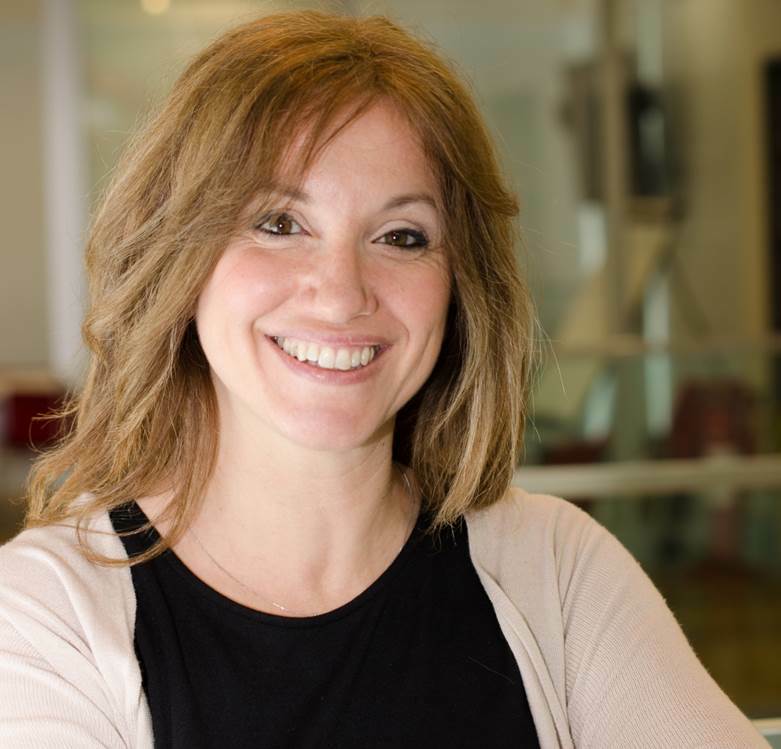 She manages the Social Channels (Twitter, LinkedIn and Facebook) and the web site of the Company that she frequently updates with the insertion of news related to the activities of VisMederi at a national and an international level. She organizes events such as press conferences, meetings and conventions. In the Administrative Office Sara is Responsible for Suppliers Management and Purchasing Office, following the entire process, according to ISO9001:08 standard, from quotation request to placing of the purchase order, up to the receipt and storage of delivery notes and invoices. Furthermore, she is mainly involved in managing Sponsors visits and Audits organization, in the management of enterprise business travels and of enrolment meetings, conferences and seminars and in the administrative issues concerning receipt and shipping of viruses and samples. Graduated with honors in Biology at the University of Siena in 2005, she completed her studies obtaining a PhD and a Second Level Master in Biochemistry. Throughout this time, her scientific research focused mainly on proteins purification and characterization. She was also involved in the validation of HPLC methods and enzyme kinetics. She carried out her post-doctoral studies at “Department of Molecular Epidemiology”, University of Siena with Prof. Emanuele Montomoli. In January 2011, she joined the VisMederi’s team and she worked mainly on laboratory tests for clinical studies dealing with humoral and cell-mediated immune responses induced by influenza viruses. In addition to the role of Scientist, she was the person responsible for the propagation and storage of live viruses in VisMederi. With a background in method procedures and other laboratory documentation, she joined the team of VisMederi Quality Assurance in 2015. She is currently Head of the Quality Department and guarantees the control and efficiency of the company Quality System. She is responsible for the outcome of audits and coordinates the resources of the quality area in order to maintain the ISO and GCLP certifications and to support the Auditors during visits by Sponsors or Organizations. 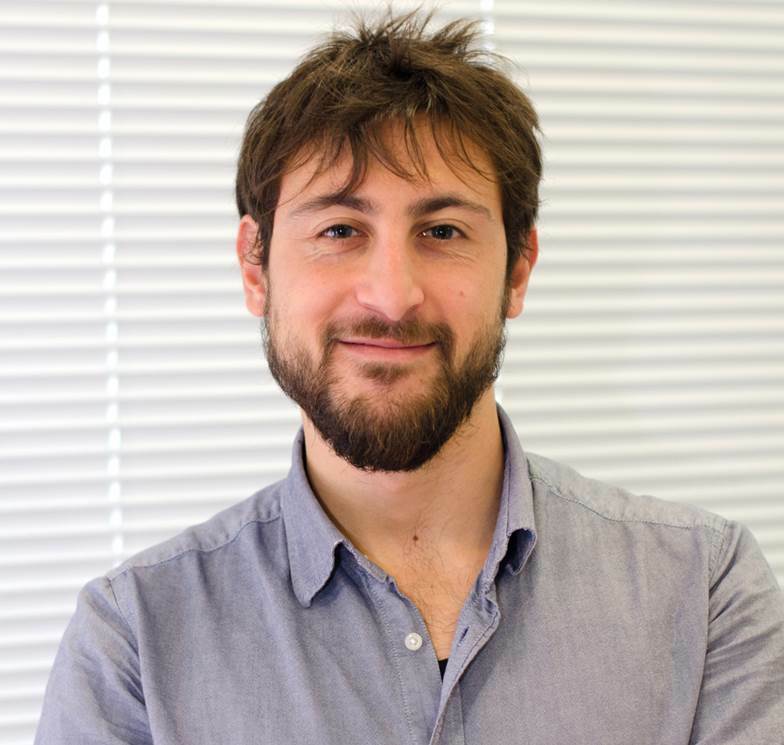 Graduated in Electronic Engineering at the Università Politecnica delle Marche, he has completed his education with a Master’s Degree in Business Management. He took his first steps in the pharmaceutical industry collaborating with the A.C.R.A.F Angelini as a Computer Systems Analyst and Responsible for Help Desk. Subsequent work experience led him abroad as a Field Sales & Project Engineer, Energy Manager and B2B Marketing Consultant in the areas of renewable energy and high-efficiency lighting for important Italian business realities. In this context, he approached the world of industrial quality, ranging from design to production, with direct experience in metalworking and galvanic fields. Since September 2015, he has been collaborating with VisMederi for the management and improvement of system processes, internal documentation and laboratory activities, and in general for the assurance of an adequate Quality Standard within the Company. Graduated in Geological Sciences at the University of Pisa, he decides to undertake a different path that brings him closer to the business world. Biotechnology is one of his interests and he succeeds in accessing a two-year course of Higher Technician for the Quality System of products and processes based on biotechnology, organized by Fondazione VITA, a Technical Vocational School for New Life Technologies based in Siena. The final part of the course consists of a long internship that Giovanni performs in VisMederi. Graduated with honors, he then joins the Quality Department of VisMederi, where he deals with managing and improving the Quality Assurance process in vaccine and food areas. She obtained her Bachelor Degree in Biological Sciences in 2013 at the University of Siena, with a dissertation thesis on Applied Ecology. In 2014, while pursuing her studies with a specialized degree course in Ecotoxicology and Environmental Sustainability, she gained a curricular internship in VisMederi, where she prepared her Master thesis. In 2015, she obtained her Master Degree with an experimental thesis on the validation of an HPLC-FD method for the determination of mycotoxins. After graduation, she joined the VisMederi’s team as a young technician and now she deals with chemical-physical and microbiological analysis in the food and environment sector. Currently, she has the role of Scientist and she deals with the development and validation of analytical methods, especially in the environmental field. After obtaining his High School Diploma of Accountant and Business Consultant, he worked as Head of Finance and Administrative Office and Head of Human Resources Office in firms operating in the building industry. Subsequently, he was Manager of the same companies, with particular focus on the recovery and restoration both of civil buildings and assets with significant historical and artistic interest. Since June 2018, he has been working in VisMederi as a Technician. 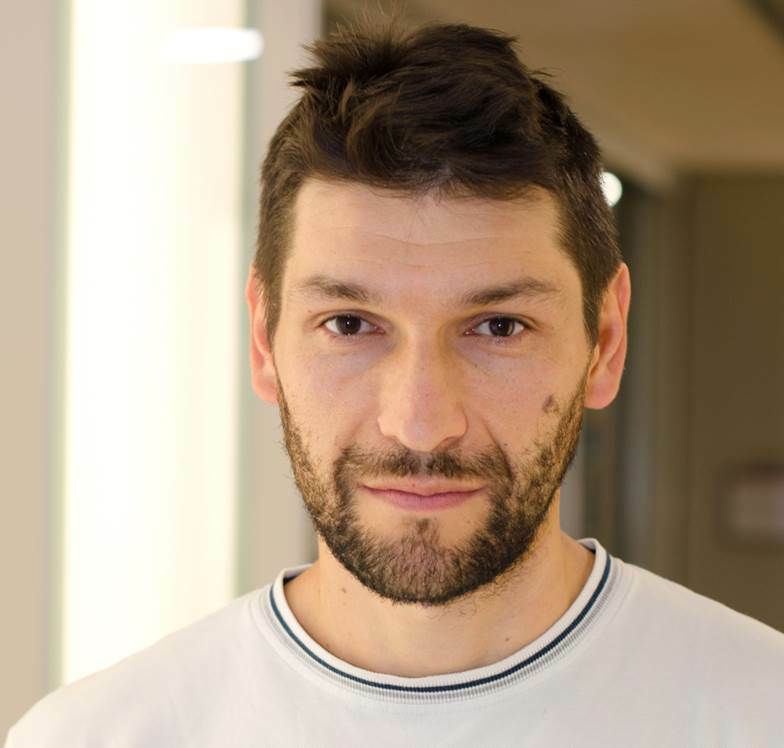 After graduating as a Chemical Expert at the ITT Sarrocchi Institute of Siena, he continued his training by attending a six-month course at Farmatec in order to improve his expertise. He thus obtained the qualification of Engineering Technician for the Design and Development of Production Plants and their Validation. The topics covered during this course allowed him to deepen subjects such as the GMP qualifications rules, the identification of CCPs (Critical Control Points) and Working Dynamics in Quality. 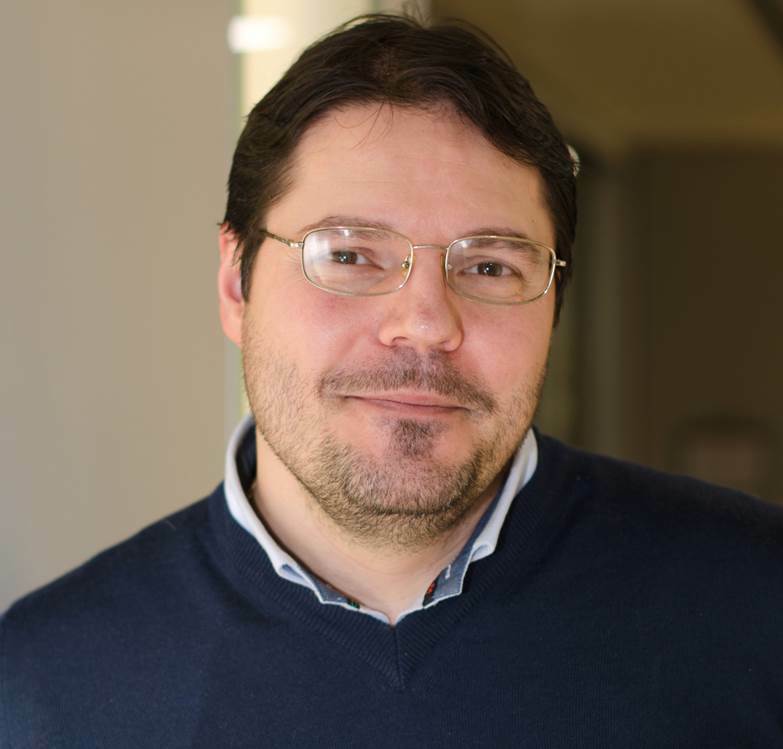 He has joined VisMederi in 2018, where he is responsible for the performance of serological and immunological tests for clinical trials using biological agents. Fabrizio Biuso is a PhD Student at University of Siena, but he actually bringing on his doctoral program within Vismederi srl. Since he was at Scientific High School he developed a great interest in biology and each derived field. This is the reason why he decided to move to Rome, where he got a Bachelor degree in Biotechnologies and a Master degree in Industrial Biotechnologies, both at Tor Vergata University of Rome. 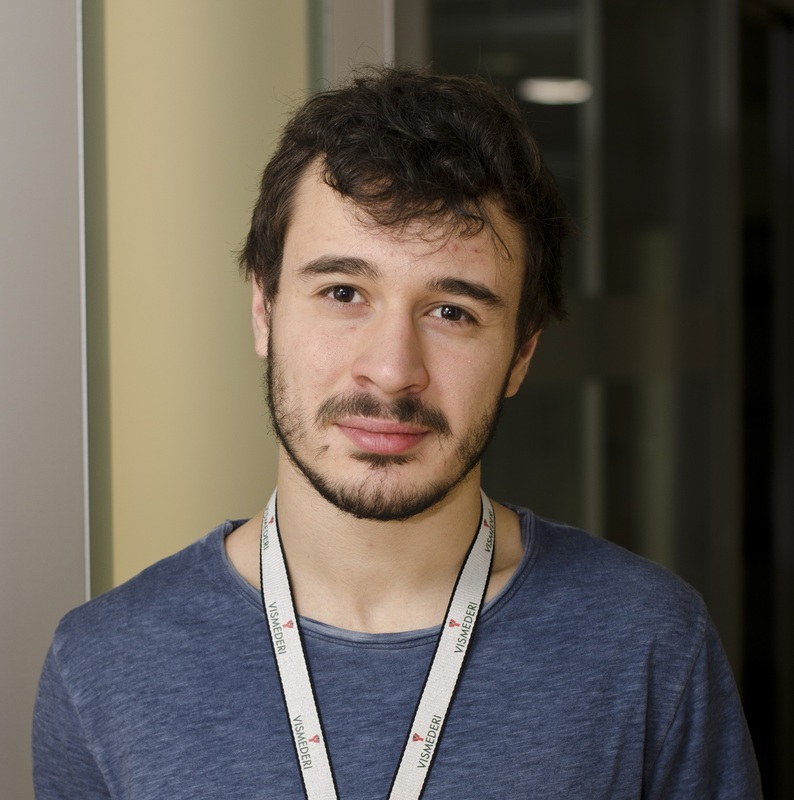 In 2012 he also spent six months within a lab in The Netherlands, enjoying the Erasmus Program, where he developed his Master thesis working on Streptomyces coelicolor bacterium.Since September until December 2013 he was practicum student within a lab at Sapienza University of Rome, where he supported the team in conducing in vivo and in vitro experiments on muscular regeneration. 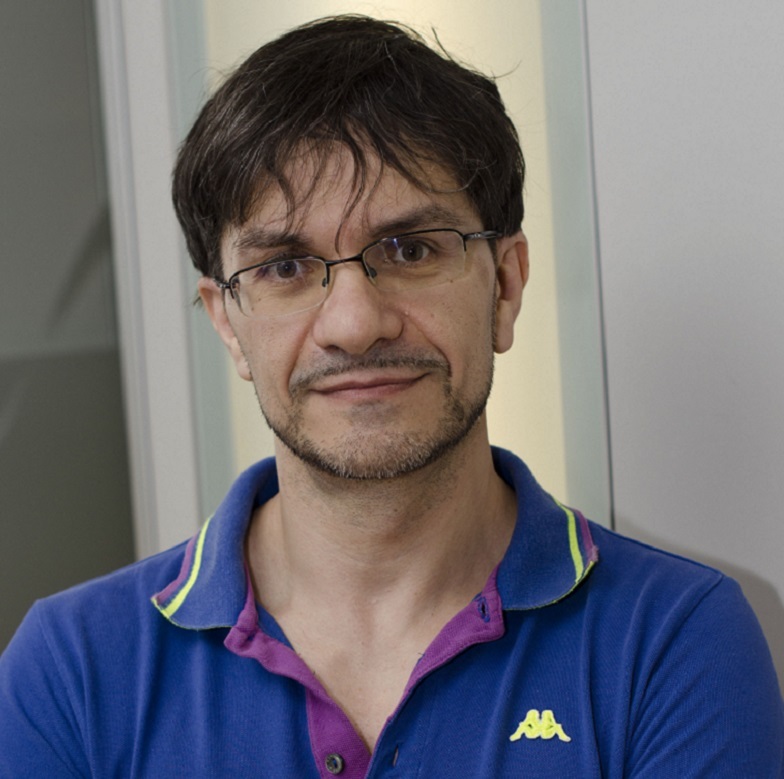 His deep interest in microbiology, virology and immunology and his continuing research of challenging experiences have led him to obtain this fellowship founded by VisMederi srl, where he has completed his professional profile, working on serological assay to evaluate the influenza vaccines immunogenicity and developing new platforms which includes the use of influenza pseudoviruses. Carolina obtained her Master’s degree in Pharmacy and Industrial Pharmacy in 2016 at the University of Siena. She carried out a dissertation internship on analytical technique of capillary electrophoresis at the National Research Council of Italy in Monterotondo, Rome. In 2017, she obtained an internship in the Quality Assurance Department of a pharmaceutical company, where she acquired knowledge on the control and efficiency of the company’s Quality System. Currently, she holds the role of Intern and deals with the development and execution of serological tests for clinical trials. After graduating in Natural Sciences at the University of Siena in 2003, she worked for six years at the Department of Environmental Sciences of the University of Siena as a Botanist. At that time, she was a member of a research team conducting analyses on lakes, rivers and forest vegetation in the province of Siena and on nearby areas, as well as carrying out studies on post-fire zones. 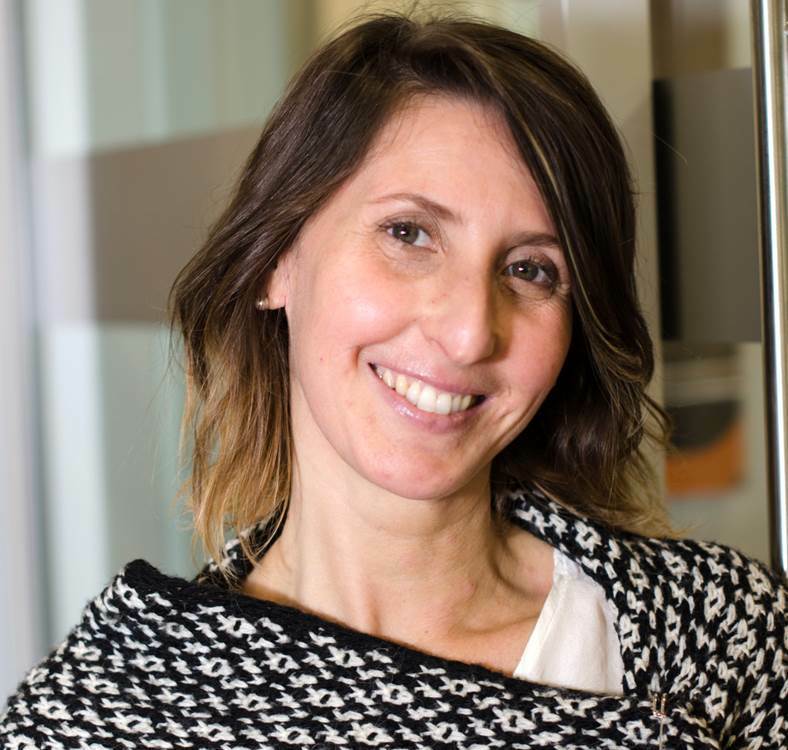 Since 2011, she has been working at VisMederi, first as an Administrative Assistant covering maternity leave for another employee and then, with a temporary contract, as a Junior Technician dealing with cell cultures. Later, she became involved in serological assays such as Haemagglutination Inhibition, Single Radial Hemolysis and Single Radial Diffusion method. She is currently a Scientist. Edoardo obtained his first degree in Biological Sciences and then the master’s degree in Molecular and Cellular Biology with an experimental thesis entitled “Identification and structural characterization of metabolites of Brassica oleracea var. acephala by advanced mass spectrometry”, developed together with the University of Siena and the National Research Council (Research Area of Pisa), under the supervision of Prof. Gianluca Giorgi and Prof. Lorenza Bellani. 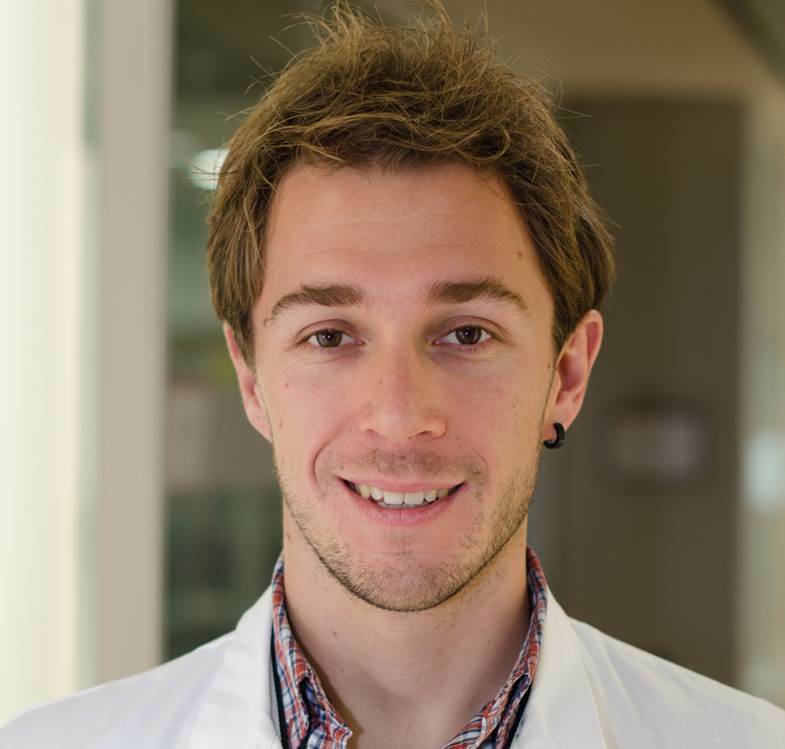 In 2015, year in which he obtained his master’s degree, he is Referent and participant of the “19th Mass spectrometry course 2015”, one of the most important mass spectrometry’s courses in Italy. In 2016 he is winner of a fellowship for young researchers, conferred to him by the Division of Mass Spectrometry of the Italian Chemical Society, and he continues his collaboration with the University of Siena and the National Research Council (Research Area of Pisa). In the same year, he takes part in the research group of VisMederi, in which he is actually a PhD student in Life sciences (University of Siena) and he is occupied on serological tests for clinical studies. In 2012, she graduated in Biotechnology at the University of Teramo, with a thesis on Food Microbiology. She consequently obtained a Master’s Degree in Health Biology at the University of Siena, carrying out an internship in VisMederi under the supervision of Prof. Emanuele Montomoli. After graduation, she obtained a project contract for a period of 6 months as a Junior Scientist in VisMederi. Since November 2015, she has begun a PhD in Life Sciences. 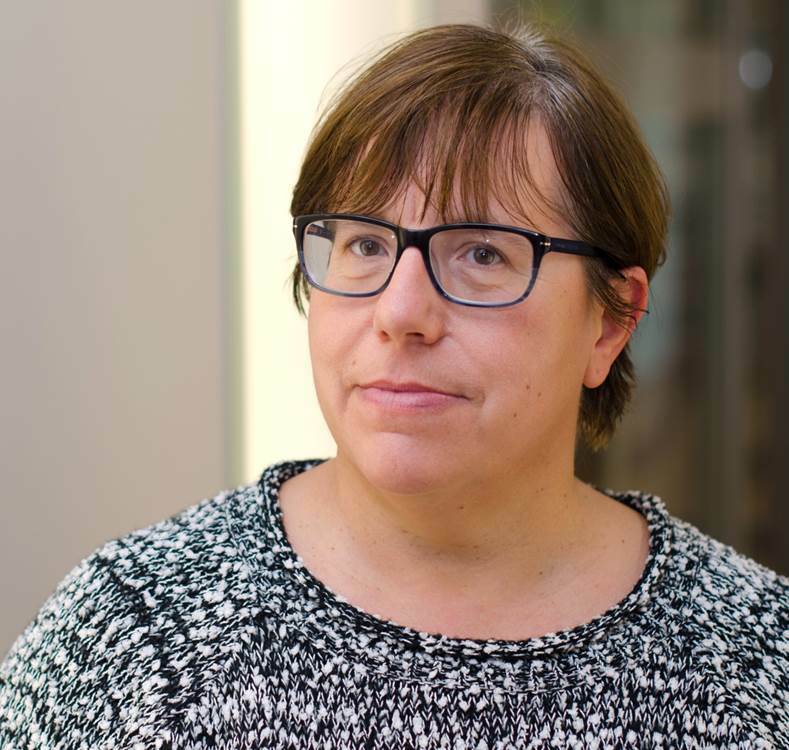 She takes care for the organization, validation and development of standardized and innovative serological assays in clinical trials, aimed at analysing the immune response to seasonal influenza viruses. 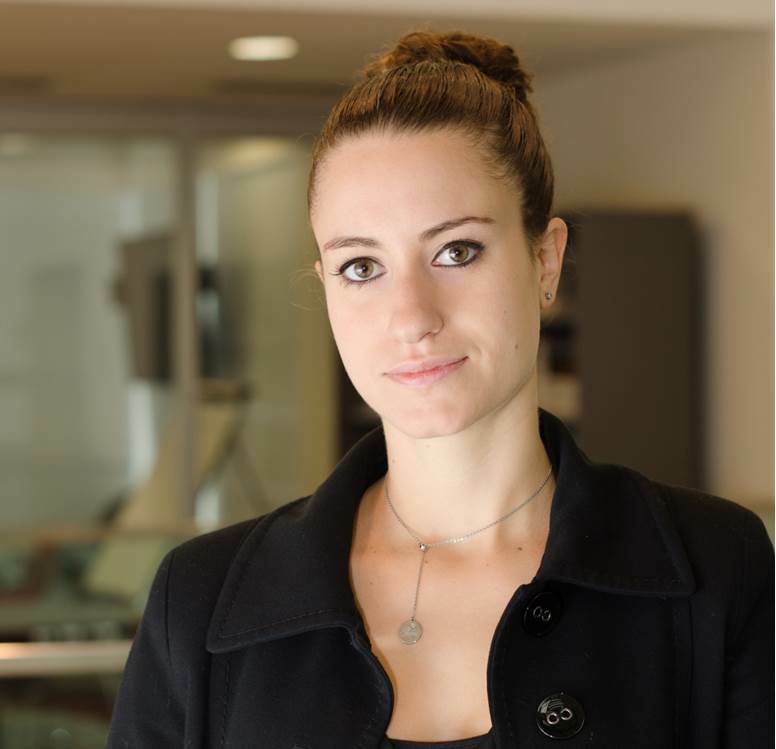 Luisa Ganfini obtained her Bachelor in Biotechnology in 2010 at the University of Siena and continued her studies with an MS degree in Pharmaceutical Biotechnology, achieved in 2013. During her MS degree, she completed a six-month thesis internship at the Radboud University in Nijmegen, The Netherlands. 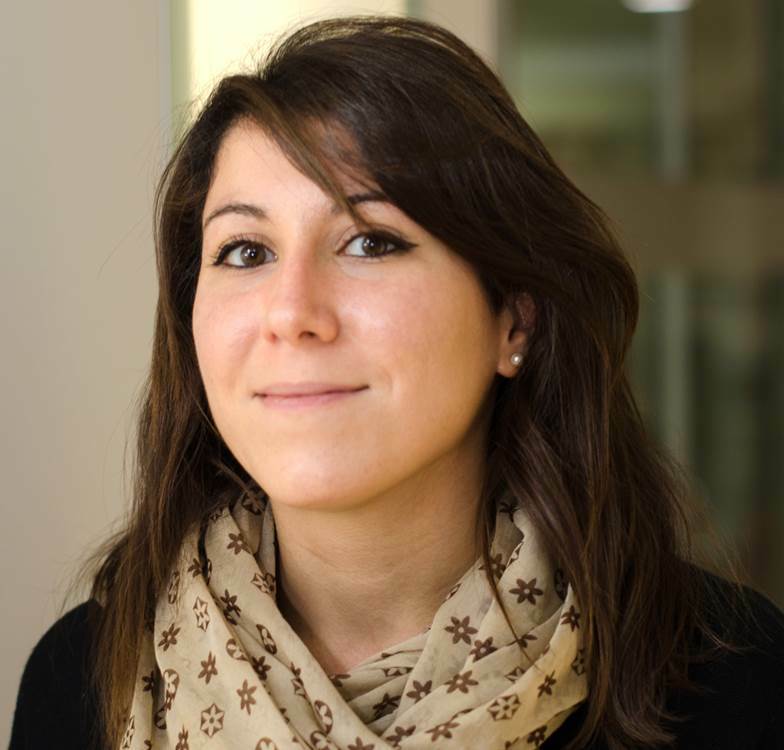 In 2014, she started her PhD in Biomolecular Sciences with the University of Trento, in collaboration with Externautics spa (until May 2016) and with Toscana Life Sciences (TLS) in Siena, during which she was involved in an ERC (European Research Council) Project, completed at the end of 2017. 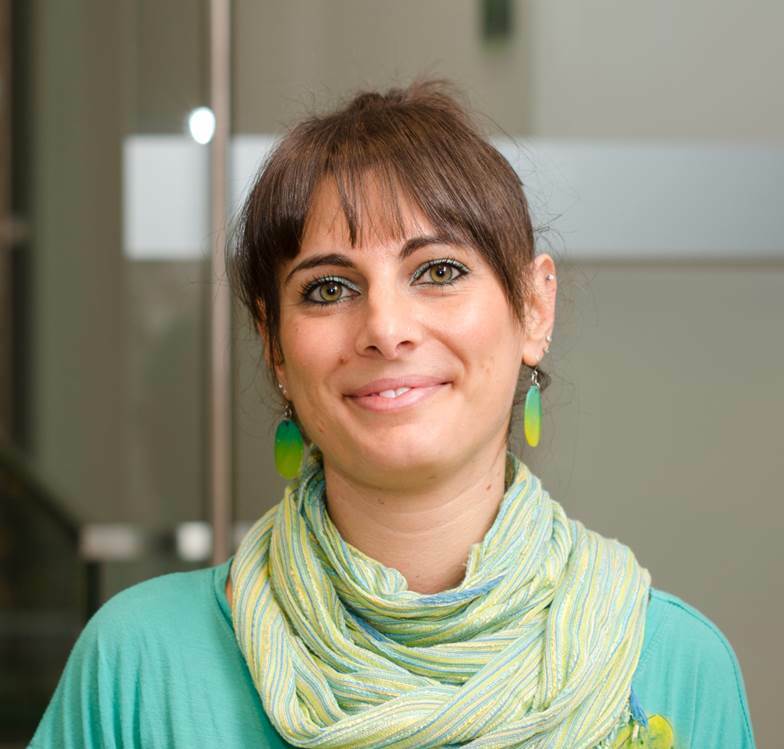 Upon completion of her PhD, she obtained a Post-Doc position through the University of Trento, CIBIO (Centre for Integrative Biology) in collaboration with TLS (Toscana Life Science), completed in June 2018. 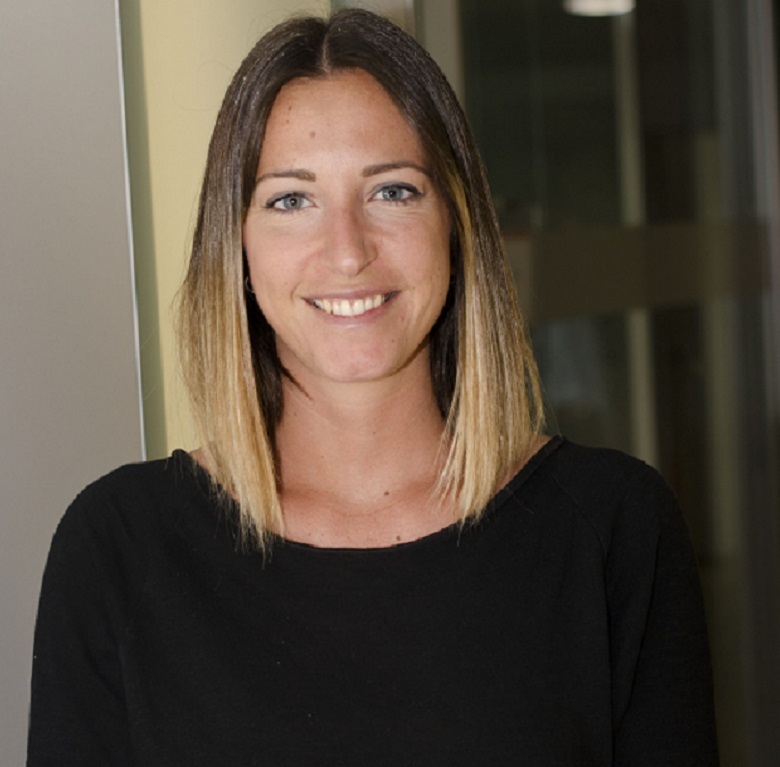 Since mid-June 2018, she has joined the VisMederi’s team as a Scientist and has been improving her competences working on serological tests for the evaluation of immunogenicity in vaccines. 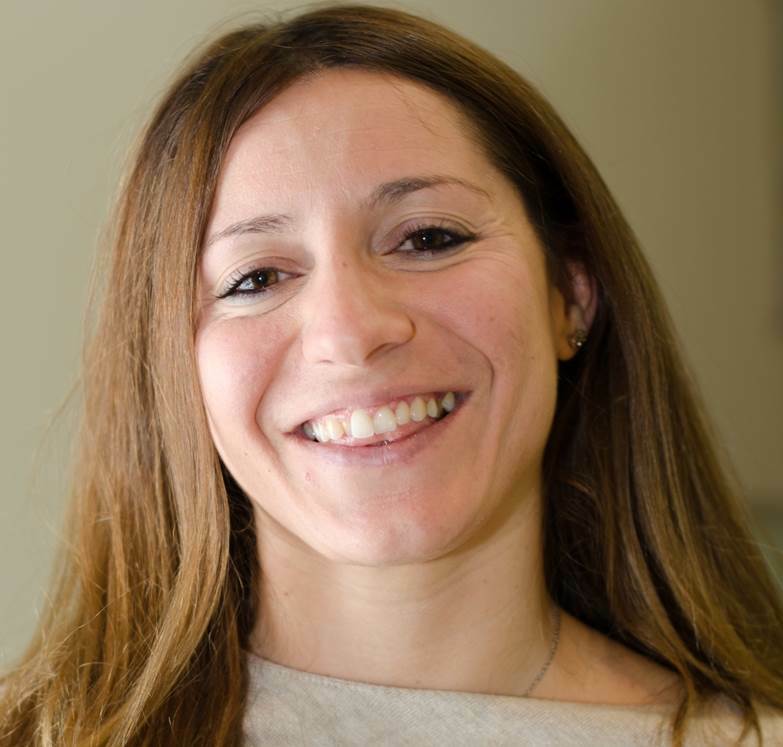 Elena graduated in Biology at the University of Siena in 2008 and she immediately obtained a PhD in Biomedicine and Immunological Science working on the involvement of adenosine and cannabinoid systems in dermal fibrosis. During her PhD, she spent 4 months at the University of Erlangen-Nuremberg that has allowed her to confirm in vivo the results previously obtained in vitro and obtaining the title of Doctor Europaeus in May 2012. Between 2012 and 2013, she worked as Post Doc at the Autoimmunity Laboratory of Bambino Gesù Children’s Hospital (in Rome) using various methods. She is the main author of several scientific articles. 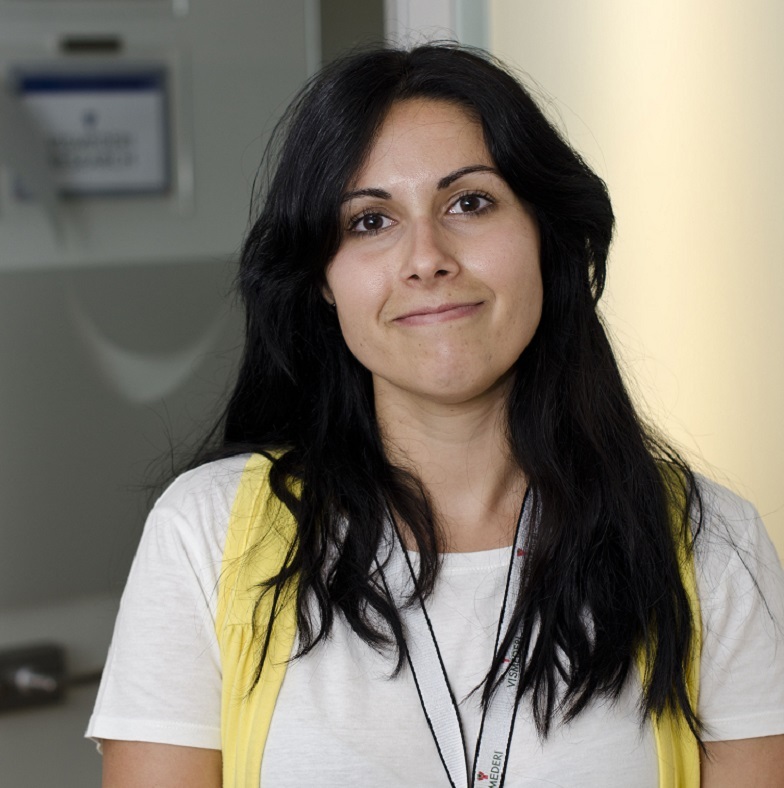 In November 2014, she joined VisMederi obtaining a position as a Junior Scientist. She is currently working on the evaluation of immunological response after exposure to influenza vaccine by performing the Microneutralization serological assay, and on the characterization of Neisseria meningitidis serogroup B strains by Meningococcal Antigen Typing System (MATS). Silvia Grappi studied at the University of Siena and she graduated in Biotechnologies in 2006. From 1999 to 2006, she worked as a Research Assistant at the University of Siena, under the supervision of Prof. A. Tagliamonte (Department of Neurosciences), where she studied the neurochemical, immunocitochemical, and behavioural changes associated to drug addiction, depression, and appetitive behaviour in animal models. She also studied animal models of obesity and relative potentially antidiabetic drugs. From 2002 to 2004, she worked at the Institut de Génétique et Biologie Moléculaire et Cellulaire, Strasbourg (France) as Research Engineer where she studied the characterization and the link between mu receptors and depression. She obtained her Ph.D. in Molecular Medicine, (Department of Neurosciences) in 2010. Her research focused on the characterization of dopaminergic transmission in feeding behaviour. From 2010 to 2012, she carried out a Post Doc under the supervision of Prof. E. Montomoli. (Dept. of Physiopathology Experimental Medicine and Public Health). Throughout this time, she studied the immunogenicity of influenza vaccines. She was the author and co-author of several scientific papers for international journals. In September 2012, she joined VisMederi, a highly qualified enterprise in the field of Research and Life Sciences, where she was involved in several serological activities. She also conducted a project for the characterization of Neisseria meningitidis serogroup B strains. Currently, she is a Principal Scientist, and she is the main contact for a global leader company in the vaccine field. She is Project Leader of an important research project on the efficacy of flu-vaccine. Graduated with honors in Biology, she achieved a three-year degree in Biological Sciences in 2014 and a degree in Health Biology at the University of Siena in 2017. After a post-graduate internship at the Pharmacology Laboratories of Angiogenesis and Pharmacogenetics, she obtained a scholarship for research activities at the University of Siena in 2017. In these same laboratories, she continued the study of “Cellular and molecular mechanisms of Angiogenesis in the presence of compounds able to release Nitric Oxide”. This study led her to a publication on Biochemical Pharmacology in 2018. During her research grant, she carries on some teaching activity for the ITS New Technologies of Life Foundation, where she holds the role of Professor of the Microbiology course for the “PROBIT 2.0 – Higher Technician for the quality system of biotechnology-based products and processes” project. 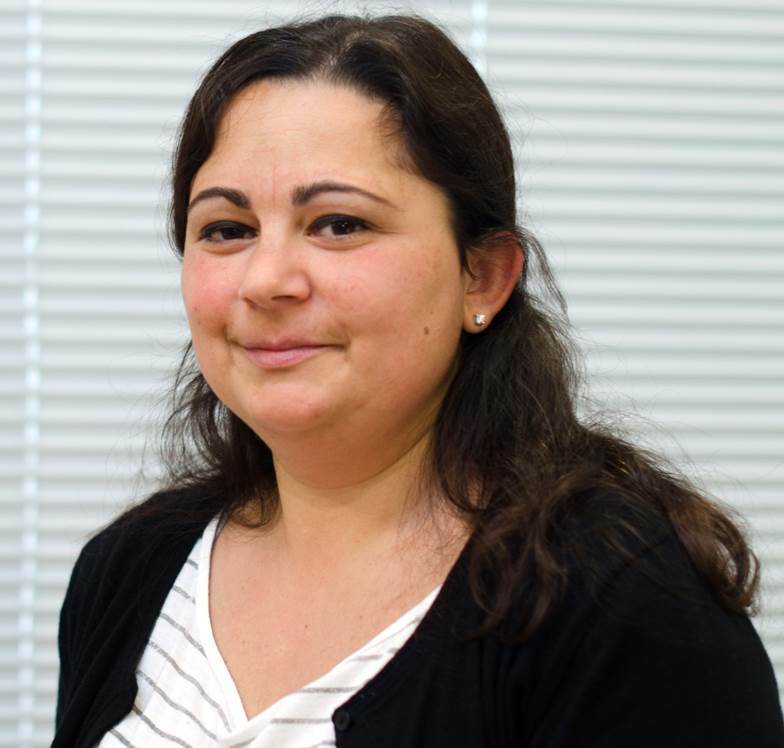 Since July 2018, she has joined the VisMederi’s team focusing on the development of different types of cell cultures and on serological test learning. Giulia graduated in Biology, with a Physiopathology degree at the University of Siena in 2008. She obtained a Ph.D. in Molecular Medicine in 2011, while training at Epidemiology and Molecular Laboratories under the mentorship of Prof. E. Montomoli; her main task consisted in laboratory assays targeting humoral immune response for flu viruses. Since 2012, she has been working on a Post Doc in the areas of humoral and cellular immunity induced by influenza vaccine and research in correlates of protection; she is performing part of her internship at VisMederi, which includes the handling of biological samples to assess immunological and molecular response to exposure to flu viruses or specific viral antigens. Graduated in Environmental Economics at the Faculty of “Richard M. Goodwin” at the University of Siena in 2001, after a Master in Quality Management in the field of Environmental Safety, she carried out internships in the economics and engineering fields. 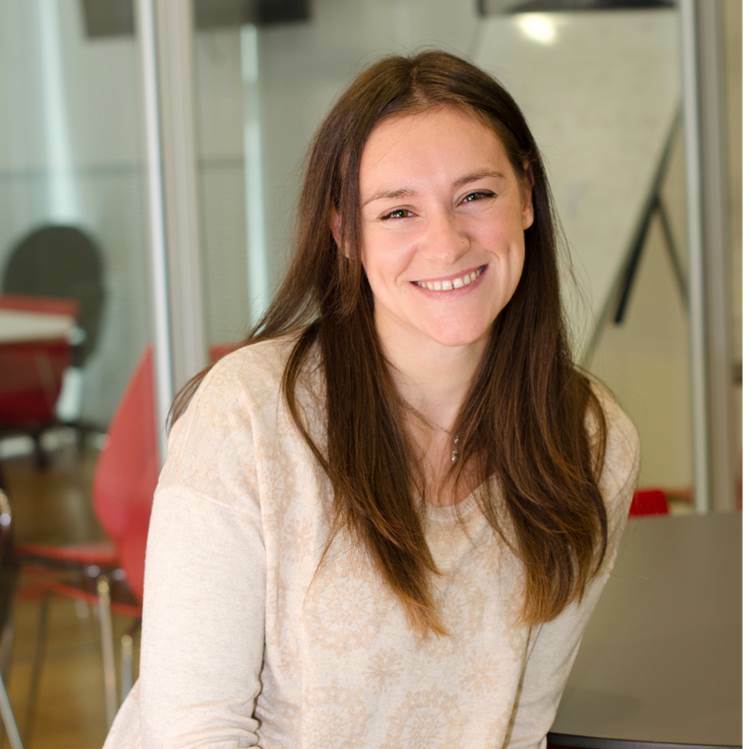 She has worked for a year in a consulting company located in Milan on quality systems in the agroindustrial field and then, from 2006 to 2015, she worked in Siena as Responsible for H.A.C.C.P. service in a chemical industry. During this experience, she was involved in the management of customers in the food division, providing consultation regarding hygiene procedures and training. She has joined the VisMederi’s team since 2015, where she works as a Business Specialist. She is involved in the financial management of overall business affair of the food/environmental divisions. She obtained her Biotechnology Bachelor’s Degree in 2012 at the University of Teramo, where she carried out an annual experience in the department of agro-food microbiology. 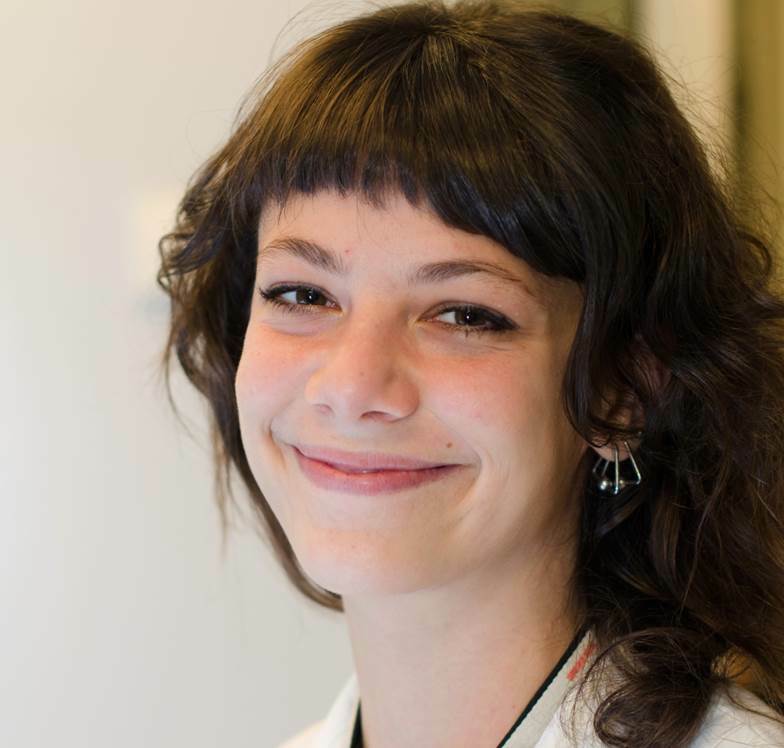 In the same year, she started her studies in Health Biology at the University of Siena and in 2013 she acquired experience in the serological field thanks to a curricular internship within VisMederi, performing tests for assessing the immunogenicity induced by influenza vaccines. After two years, she obtained her MsC with a thesis on the validation of the SRH (Single Radial Hemolysis) method for the assay of antibodies against influenza 2013-2014 seasonal viruses. After that, she worked at VisMederi Research for the development and optimization of human and animal cell line cultures. She is currently carrying out a PhD in Vismederi as a Researcher. She is in charge of the propagation of influenza viruses in cell cultures and of the development and validation of serological assays such as VN (Virus Neutralization) and ELISA (Enzyme-linked immunosorbent assay). Alessandro graduated in Biology obtaining his Bachelor’s Degree in 2009 and a Master’s Degree in Molecular Evolution in 2013 at the University of Siena. He worked for six months in a big company in the field of Life Sciences. In November 2013, he won a competition for PhD students in Biochemistry and Molecular Biology at the University of Siena. In the first year, he worked on a project of Influenza Viral Growth in cell culture. 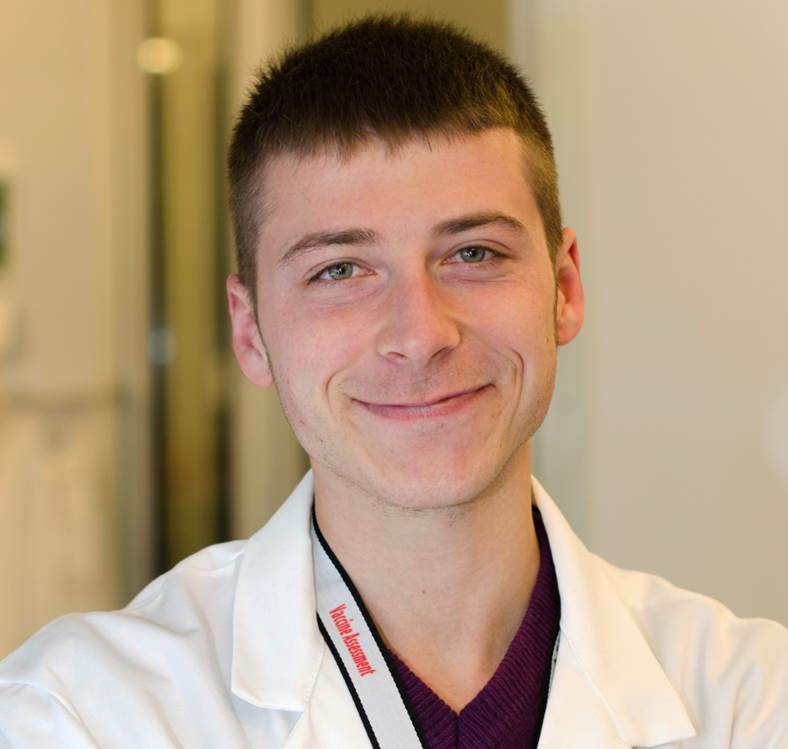 In the summer 2015, he spent five months at the Influenza Centre in Bergen, Norway, under the direction of Professor Rebecca Jane Cox, studying the field of validation of new serological assays for IgA and IgG detection. Currently, he is working as a Scientist on the development and standardization of serological assays for IgA and IgG detection in Nasal, Saliva and Serum samples and for anti-Neuraminidase antibody detection. After his High School Diploma, he enrolled in the Faculty of Environmental Sciences at the University of Siena, where he had the chance to take part into an internship program aimed at improving the studies on pollution. After this internship, he worked for several firms where he developed organizational and control skills on impact and environmental safety. In 2011, he began to work for Pharmaceutical Firms, first in Novartis and after in Kedrion Biopharma, in the field of flu vaccines, as a Quality Controller. He supervised the whole vaccine packaging process, ensuring high-standard quality on Health and Safety. Since February 2016, he has been working in VisMederi, as a Logistics Coordinator and Responsible for storage operations. Donata graduated in Biotechnologies in 2014 and she pursued her studies for a Master’s Degree in Medical Biotechnologies at the University of Siena. 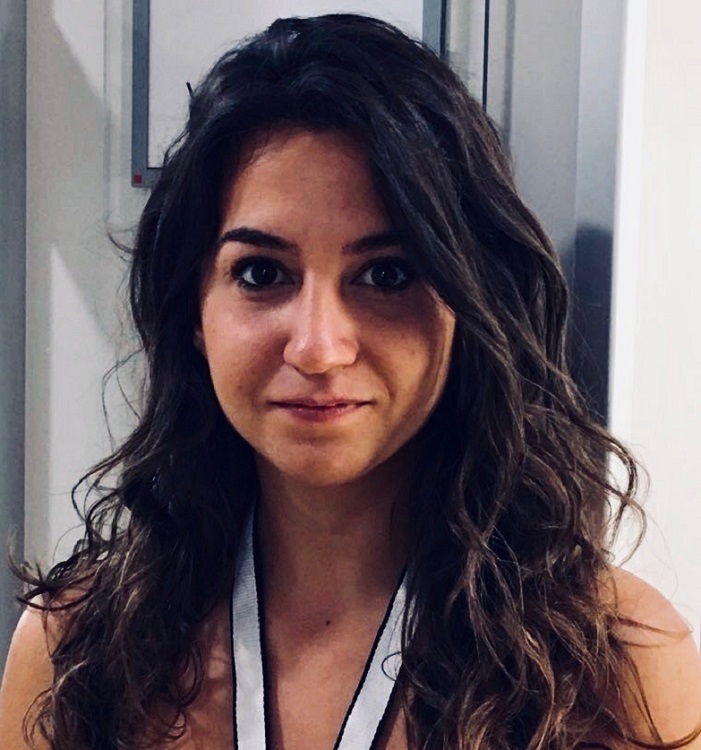 At the same time, she carried out a traineeship in VisMederi, mainly performing the development of cell cultures and serological assays to analyze the immunogenicity of influenza vaccines under the supervision of Prof. Emanuele Montomoli. 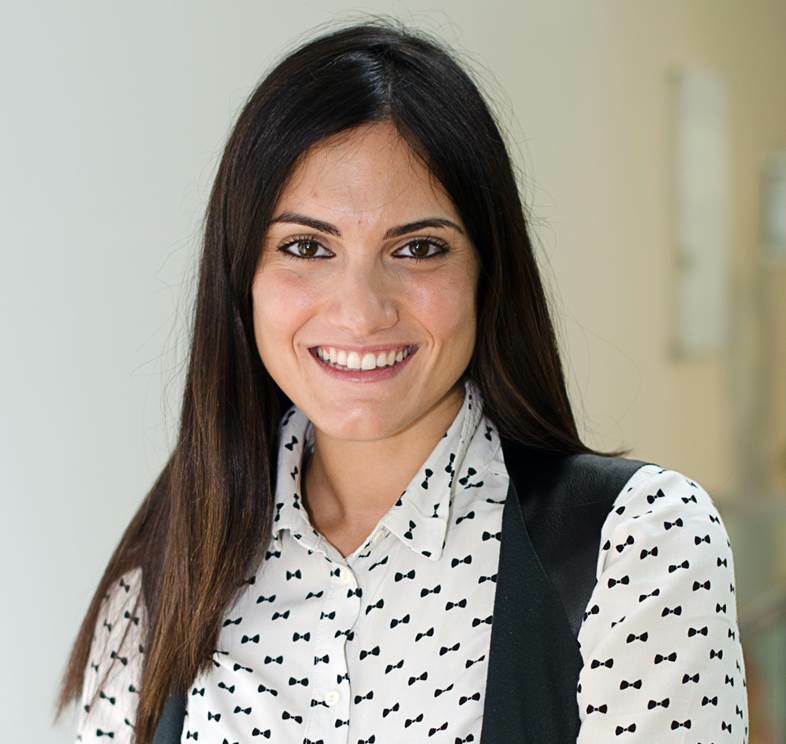 Graduated in 2016, she immediately got a Ph.D. in Life Sciences in VisMederi, where she is working on her research project, focusing on the development and optimization of cell culture platforms for the evaluation of influenza vaccine immunogenicity. 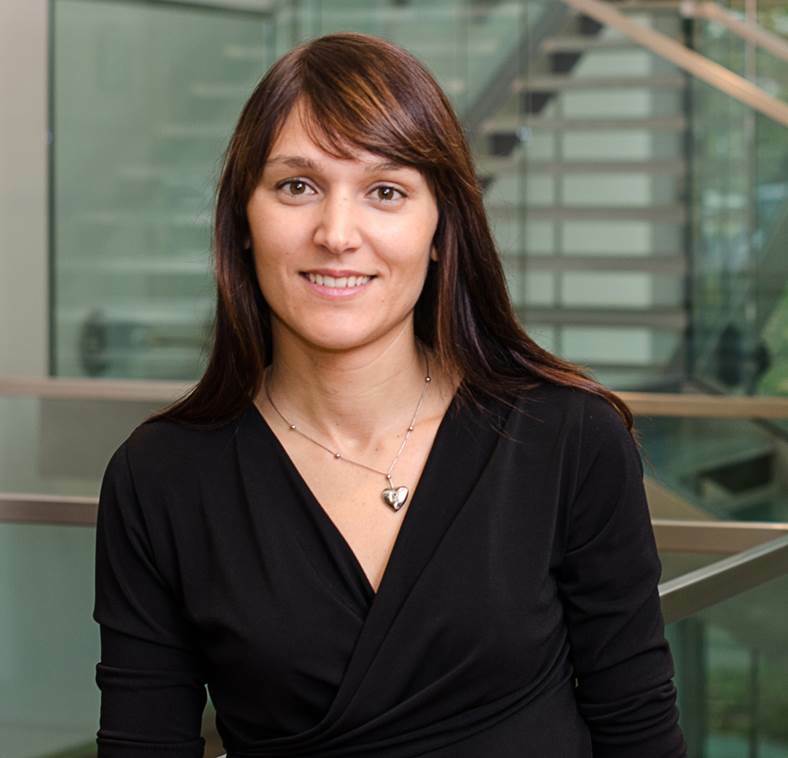 Elisa graduated in Biology, then obtained her Bachelor’s Degree in Biology in 2004 and her Specialization Degree in Medical Biology in 2006 at the University of Siena. In March 2012, she earned a Doctorate with the addition of the title “Doctor Europaeus” in Molecular Medicine at the University of Siena. 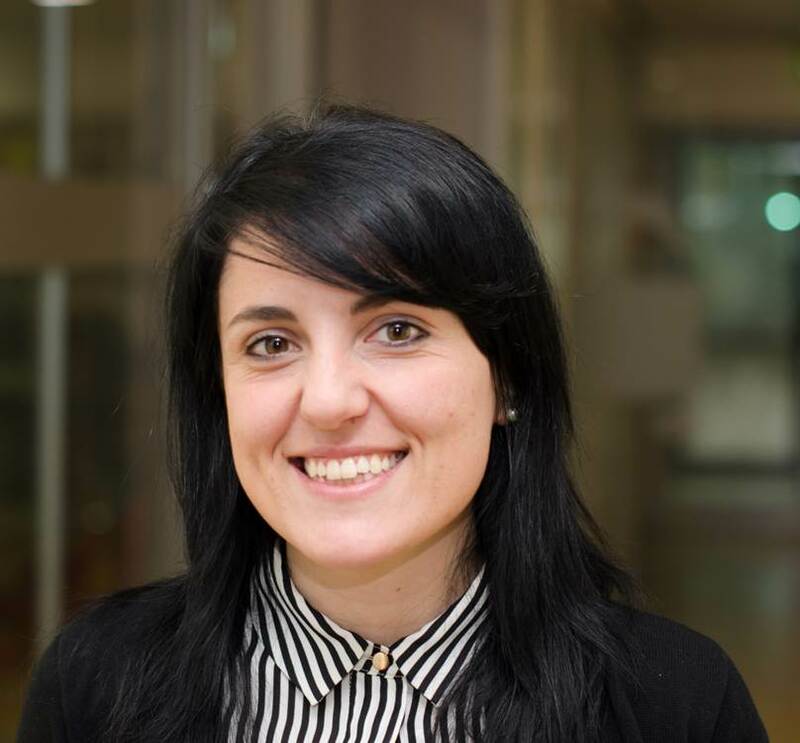 In the first year of her PhD, using various serological assays, she performed several clinical phase II, III and some pre-clinical studies to analyze the immunogenicity of influenza vaccines at the Molecular Epidemiology Laboratory under the supervision of Prof. Emanuele Montomoli. She spent the second year of her PhD program in London at the Health Protection Agency laboratories coordinated by Prof. M. Zambon, where she carried out several methods for the analysis of antibodies to avian and human Influenza strains, as well as for the growth and maintenance of mammalian cell lines, influenza virus propagation and harvest from cell culture and eggs. 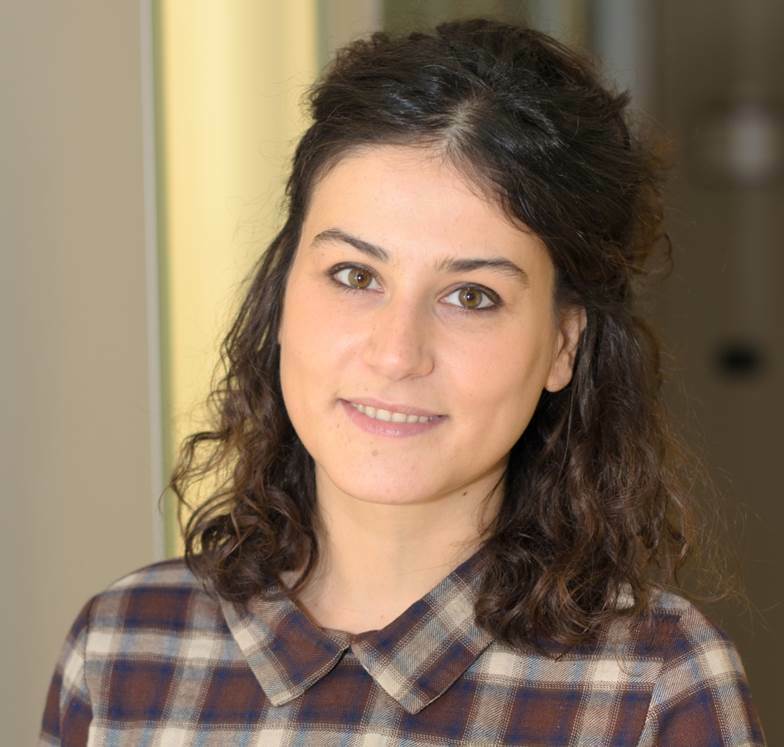 She finished the last year of her PhD at VisMederi, where her main tasks were related to cell culture and serological assays such as Single Radial Haemolysis assay (SRH), Haemagglutination Inhibition assay (HI), Microneutralization assay (MN) and also ELISA assay for serological detection of anti-Pertussis, anti-Diphtheria and anti-Tetanus antibodies. Currently she is working as head of laboratories. With the Project Leaders she plans the Lab activities. She keeps under control the expire date of calibration and maintenance of instruments ensuring that they are functioning properly. She manages the reagents and sera storage. She ensures all users of the lab are wearing the appropriate PPE in the laboratories BSL2, BSL2+, BSL3. She collaborates with quality system: SOP revision, change control and deviation related to laboratories. Graduated in Food Science and Technology at Milan State University’s Faculty of Agriculture. After a collaboration with the vinegar producer Ponti, she worked for a private laboratory, performing chemical and biological analyses for companies operating in the food and catering sector. In Siena since 2003, she has performed laboratory activities for the quality control and support for the self-monitoring of food industries. Approved as an auditor for quality systems ISO 9001, ISO 22000, BRC-IFS. 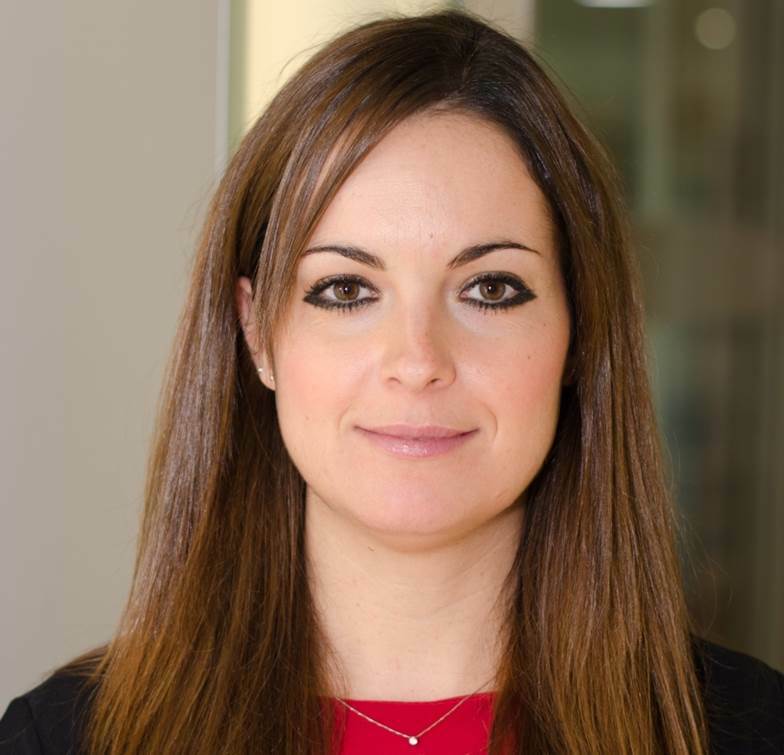 In VisMederi she is responsible of food sector, supervising the analytical activity and clients consulting services. Graduated in Biological Sciences at the University of Parma in 2011, with an experimental thesis on Plant Genetics, she continued her studies with a degree course in Biology and Biomedical Applications in Parma and graduated in 2014, with an experimental thesis on identification of light k and lambda chains for the characterization of myelomas. In 2016, she took part in a training course in Clinical Research Associate, where she acquired knowledge in clinical trials, pharmacovigilance, GCP and GMP standards. 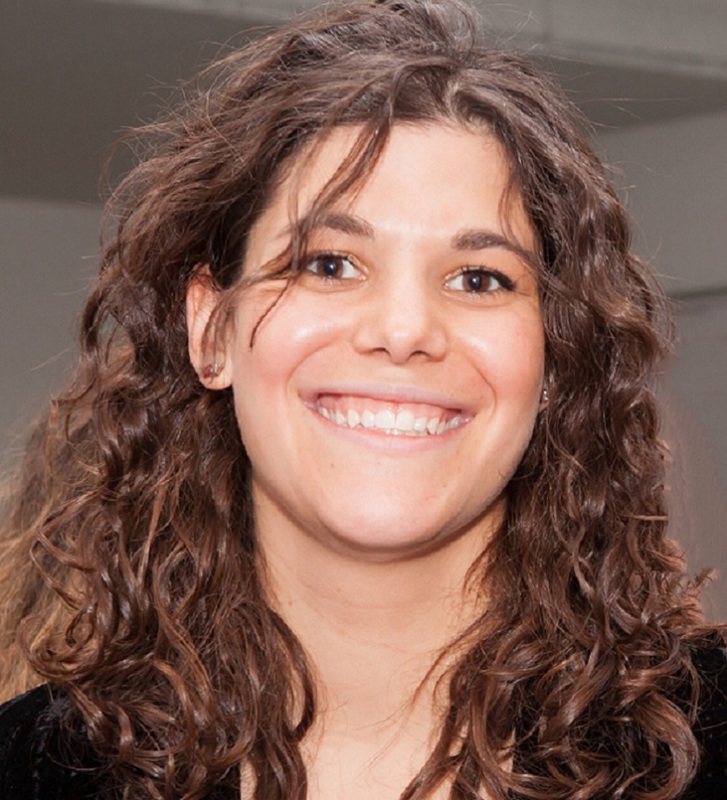 She joined VisMederi with an internship in 2017. She currently holds the role of Scientist and deals with the development and execution of serological tests for clinical trials. Graduated in Biological Sciences at “Seconda Università degli studi di Napoli”, she specialized in Pharmaceutical Biotechnologies at “Università degli Studi di Napoli Federico II”, where she attended an internship in the field of peptide synthesis in solid phases in the Department of Pharmacy. 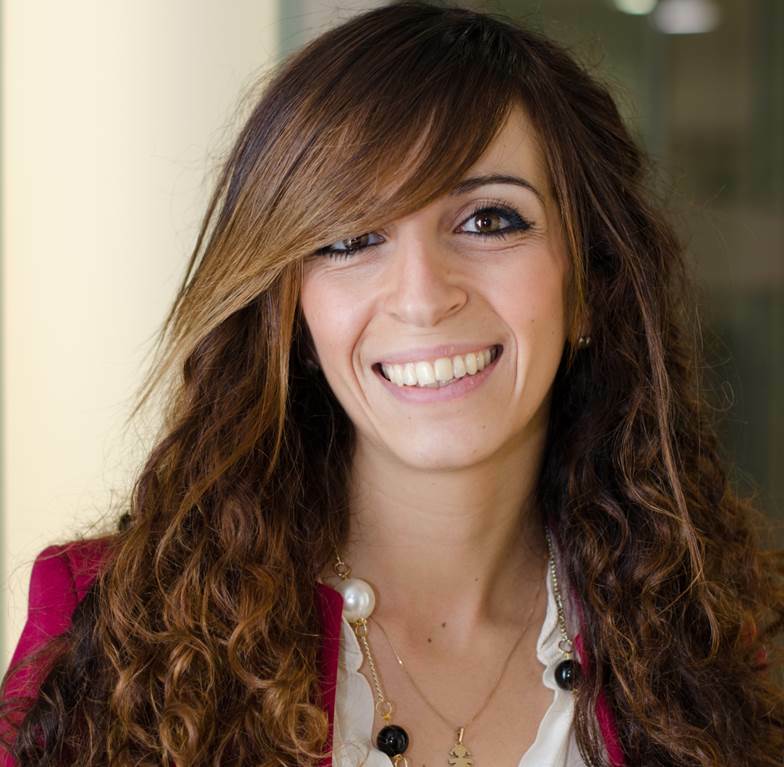 She moved to Siena in 2015, where she obtained an MSc in “Drug Design and Synthesis”. Throughout this time, she also did her first experience in VisMederi as a trainee. She is currently a Scientist and her focus is on the development and execution of serological assays for clinical studies. Giulia graduated in Biotechnologies (Bsc) in 2011, and in Medical Biotechnologies (Msc) in 2013 at the University of Siena. She obtained her Master’s degree with an experimental thesis based on the comparison of serological assays for the titration of anti-influenza antibodies, with the supervision of Professor Emanuele Montomoli. Since October 2012, she has been working in VisMederi as a Scientist (formerly Research Technician and Junior Scientist). Within the company, her main tasks are related to cell culture, serological assays for the evaluation of influenza vaccines and typing of meningococcal group B antigens (MATS). Since October 2016 she is involved in a Ph.D. program focusing on the surveillance and management of Neisseria meningitidis type B infections. 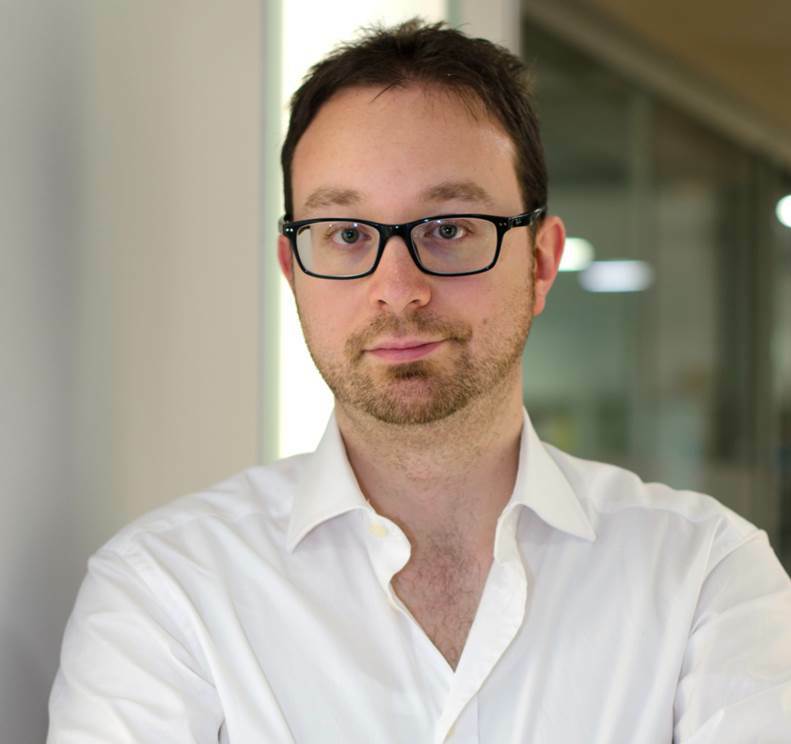 Pietro obtained his University Degree in Statistical and Economic Sciences at the University of Siena (1992) with a thesis on econometric models for the analysis of company efficiency. After some experience as a consultant in the tertiary sector, his interest in scientific research led him to the collaboration (2000-2002) at the LIASA university spin-off (Laboratory of Artificial Intelligence and Applied Statistics). 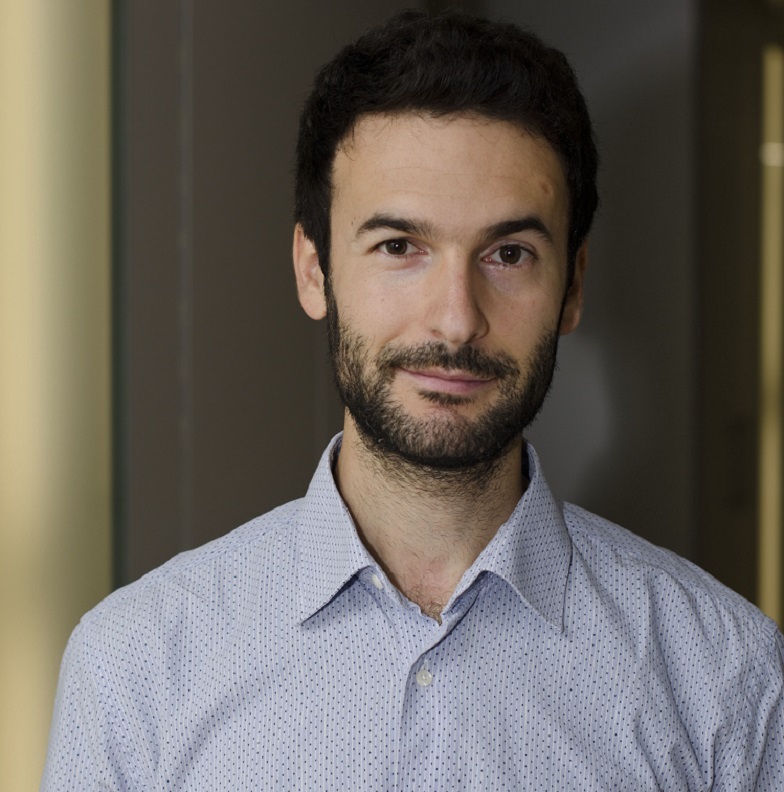 He took part in the implementation of data mining techniques and artificial neural networks for the construction of a pilot model of internal ranking for an Italian bank according to the rules of prudential supervision provided by the “Basel 2” agreement. His statistical activity continued at the Department of Medical, Surgical and Neuroscience of the University of Siena, where he applied and developed methods for the classification of data and the provision of data structures. In 2012, he obtained a Ph.D. degree in Applied Neurological Sciences – Neurosciences presenting a diffusive model of the neuronal activity involved in decision-making processes. Subsequently, he continued research in neuroscience at EVALab (Eye-tracking Visual Application Laboratory) of the Department of Medical, Surgical and Neuroscience of the University of Siena, gaining further practice in the analysis of complex phenomena in both temporal and frequency domains. He contributed to studies on neuropathology and on cognitive functions such as perception, attention and memory related to the activity of the neuronal system that presides over eye movements. In 2018, he joined the VisMederi’s team as a Data Manager, bringing his experience and skills in data management and analysis. Sara graduated in Pharmacy and Industrial Pharmacy at University of Siena in 2010. In the same year, she obtained a Ph.D. in Medical Biotechnology (Microbial Biotechnology, Vaccines and Infectious Diseases Section), working in the Molecular Laboratory under the mentorship of Prof. E. Montomoli. Her main task consisted in laboratory essays aimed at analyzing immunogenicity of flu vaccines. Since 2014, she has been performing consulting and microbiological analyses in environmental, food and agricultural fields. Valerio graduated in Medical Biotechnology at the University of Bologna. He worked in 2003-2004 as a sales representative for a small company that develops medical and serological diagnostic kits. He also received a university fellowship in 2004 in Molecular Biology based out the University of Bologna. He obtained a Master’s Degree in Quality Certification for Food Producing Organizations in 2005. After having completed his PhD in Molecular Medicine (2009-2013); he joined VisMederi in 2013, where he has developed competence and expertise in laboratory instrument management necessary for his current position in VisMederi. 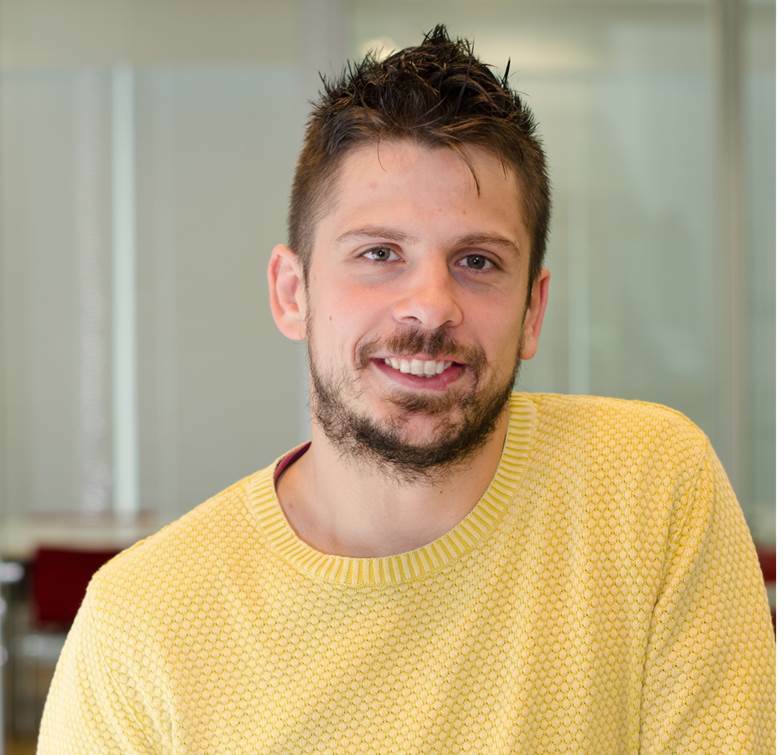 In 2006, Alessandro began his studies in Mechanical Engineering at University of Perugia and he joined the Italian Air Force in the same year. After a period spent in the role of cadet pilot at the “Accademia Guardia di Finanza” in Bergamo, he signed his leave to continue with his studies at the University of Siena obtaining a Bachelor’s Degree in Biotechnology in 2010. 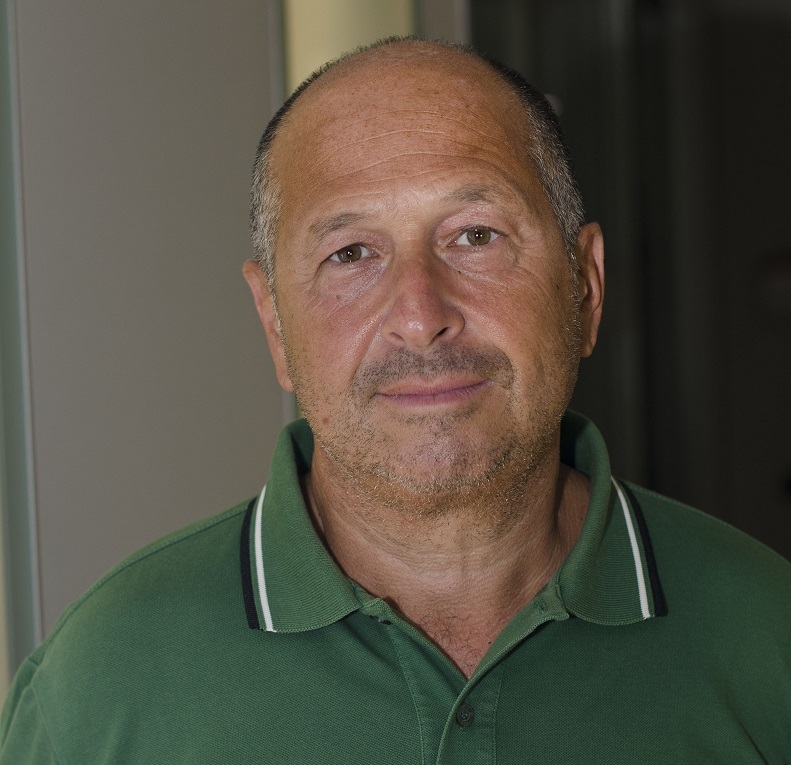 In the same year, he won the fellowship “Progetto Fixo” and began working in Siena Biotech S.p.a. in the Molecular Neurosciences Unit; during this period he acquired broader experience in Molecular Biology working mainly on nuclear receptors. In 2012, he obtained his Master’s Degree in Medical Biotechnology. 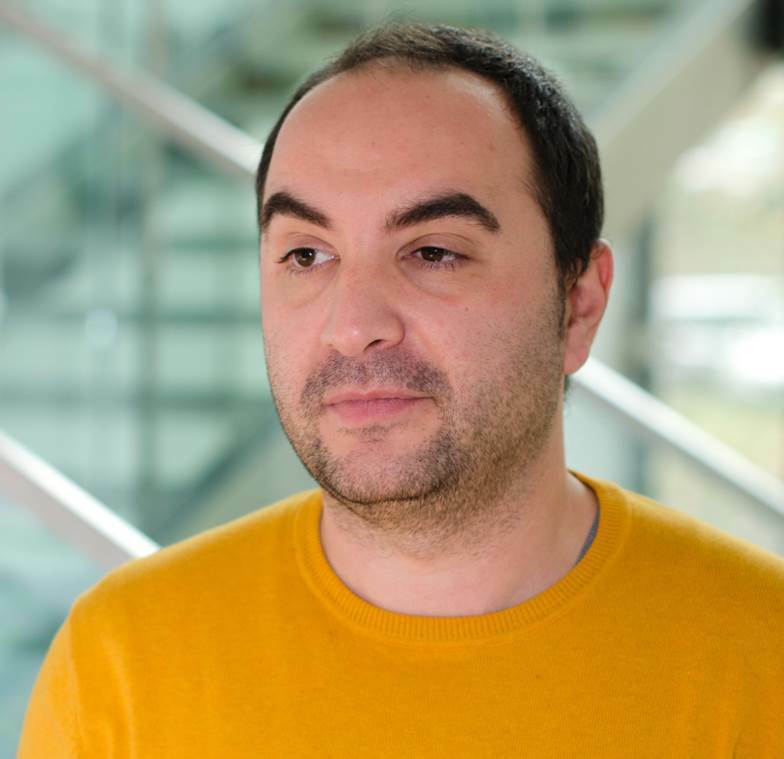 After having had few Marie Curie ESR opportunities within the FP7 framework (Angiomattrain in Galway, Bone-Net in Sheffield), on October 2012 he joined the VisMederi team as a technician: during its time in VisMederi he acquired strong skills in the field of serology and clinical trials. Currently, he works as a scientist in VisMederi mainly leading Influenza and N. Meningitidis projects, writing animal testing protocols and performing cell mediated immunity assays (FACS). Licia Vitale is graduated in biomedical laboratory techniques and in master degree of Medical Biotechnology. After the awarding of the first degree, she started to work in multinational Bayer Biologicals Ltd as laboratory operator and later as a quality control operator (from 2005 to 2008). 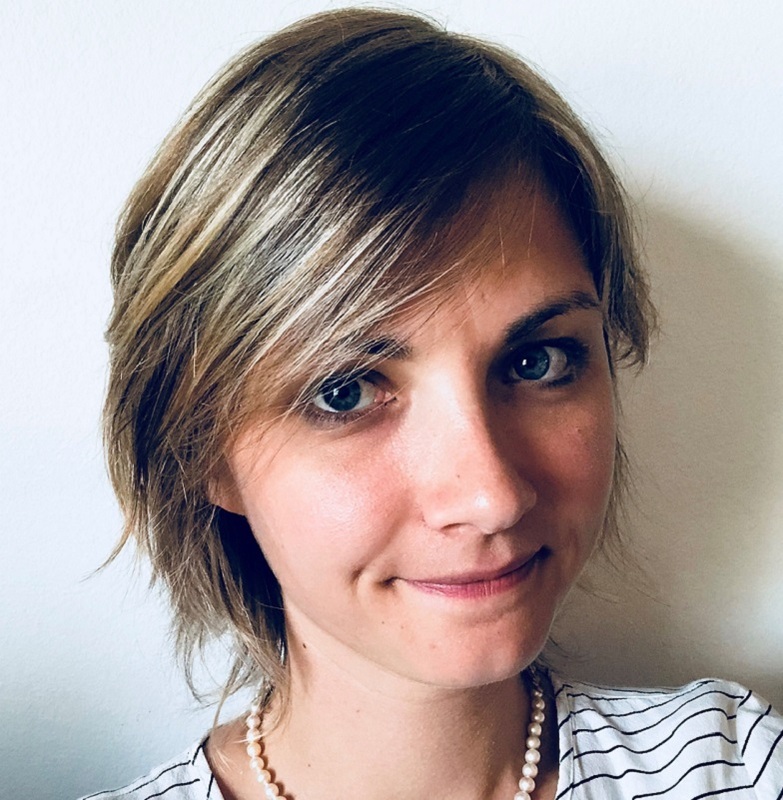 After an instructive experience in the company, she decided to continue her studies and in 2009 she started her collaboration with the Molecular Epidemiology group of the University of Siena as a PhD student in Molecular Medicine In 2010, she moved to the newborn VisMederi s.r.l. where she completed her PhD. Her studies were focused on vaccines development. In particular she was involved in many clinical trials for pandemic and seasonal influenza vaccines and on the typing of Meningococcal bacteria for anti MenB vaccine. Currently she is Head of Operations and Responsible for VisMederi’s activities organization. In addition she is involved in serological assays as Microneutralization, SRH and ELISA test.